Premier League football club Queens Park Rangers has agreed two-year sponsorship deals with Malaysia Airlines for its home shirt and Air Asia, the airline owned by the club's majority shareholder, for its away and third shirts. The club claims the deals are worth a 'multi-million' pound sum, with chief executive Philip Beard talking of 'building a thriving relationship with both businesses in a bid to broaden our exposure in Southeast Asia and further afield'. Air Asia and its long-haul arm Asia Asia X are partly owned by QPR's majority shareholder, Tony Fernandes, who bought into the newly-promoted club last month. Fernandes also joined the board of Malaysian Airlines last month, when Air Asia and Malaysian Airlines struck an agreement to find ways of working together. At the same time Fernandes' company Tune Air agreed to take a 20.5% stake in Malaysian Airlines and the latter's government-owned majority shareholder Khazanah Nasional to take a 10% stake in AirAsia. Malaysia Airlines executive director Mohammed Rashdan Yusof said the sponsorship was the first major step in his company's "new brand and marketing strategy" to boost its top line. 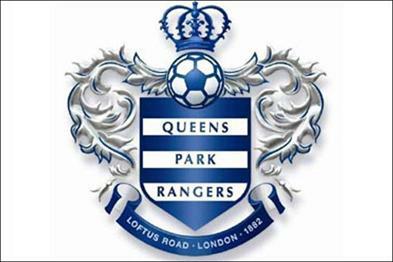 Kathleen Tan, AirAsia's regional head of commercial, said: "Collaboratively, AirAsia and Malaysia Airlines can certainly build a very strong following for the QPR brand in a very passionate football audience in Asia." Soon after he bought into QPR in mid-August, Fernandes suggested he could solve the club's lack of shirt sponsor by calling on the two airlines. In an interview on the QPR website, he said: "Sponsorship isn't a top priority to be honest. Obviously there's maybe a little bit of pride involved that we're the only club without a sponsor, but we could get a sponsor tomorrow, but at what price?" "If worse comes to worse, I'm sure I can persuade Air Asia or Malaysian Airlines to come on board and sponsor us." There are no rules preventing club owners providing shirt sponsorship to their football teams. QPR's last shirt sponsor was Gulf Air, which started a £7m three-year deal in 2008.